If you’re bummed out about dry skin, just listen to what Mary Lupo has to say. According to Lupo, Md and associate clinical professor of dermatology at Tulane University says, “There’s so much that women can do for dry skin. 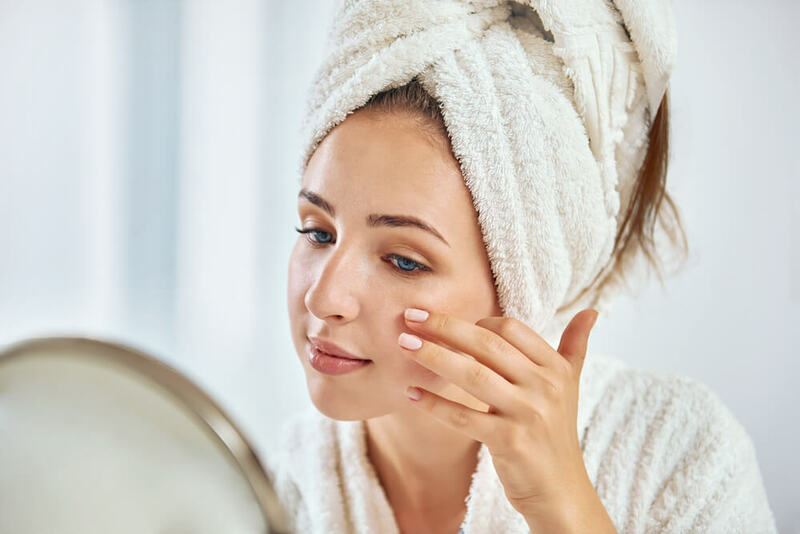 A whole new generation of moisturizers and skin products are available to help dry skin, so it really needn’t be a problem anymore.” But before you go shopping for all your new supplies, keep in mind, there are still some tried and true methods. Moisturizing is, hands down, at the top of the list for avoiding dryness. After cleansing your face with a dry skin formula cleanser, apply moisturizer. Let it penetrate for three to five minutes before applying foundation. Makeup artists also recommend using a makeup primer to eliminate dry patches and helping makeup stay in place. You may also choose to use serum or eye cream to target wrinkles around the eyes. A creamy foundation works best on dry skin. There are high definition formulas that are very light, yet capable of providing maximum coverage. First, use a brush, not your fingertips to apply concealer followed by foundation. Your foundation brush should be gentle in order to prevent skin from flaking. For light coverage, use downward strokes to glide the brush over your face. For greater coverage, slightly press the brush on your face as you cover it. Make sure your foundation is at least at room temperature before applying for best results. Powdery makeup tends to cake up and gather in creases and lines. Creamy eye and cheek colors are the best for a satiny finish. Apply shimmering gold, pale pink, and bronze to accentuate your cheekbones, but avoid metallic colors when it comes to your eyes, as shiny textures tend to draw attention to wrinkles. Also, try to avoid fingertip application. Soft brushes are best for smoothing on cream without irritating skin. Here is where the powder comes in. Set your makeup with a light dusting of loose powder applied with a large cosmetic brush to keep your foundation eye shadow and blush in place. You can find ultra fine sheer finishing powders that provide hydration and even high definition formulas to give you the perfect finish. When it comes to eyeliners, go liquid! Pencils can flake and get into fine lines, whereas liquids bring out the eyes whole drawing attention away from flaws and wrinkles. As for mascara, avoid waterproof formulas which can dry your lashes. Apply a light coat of mascara on your lashes gently, brushing from base to tip. Do your skin a favor by removing mascara before you go to sleep. Dab a few drops of mineral eye makeup remover on a cotton ball and swipe it across your lashes and lids before you begin your nightly drying routine. Tell us about how you kick the dry skin blues! We love to hear it!